Since being formed in 1980, the Phoenix-based Make-A-Wish Foundation has become synonymous with fostering goodwill toward children with serious illnesses. Anyone under the age of 18 can petition the organization with a request for a trip, celebrity visit, or other special arrangement. In almost all cases, they’ll grant the child’s wish via fundraising efforts and the generosity of volunteers. 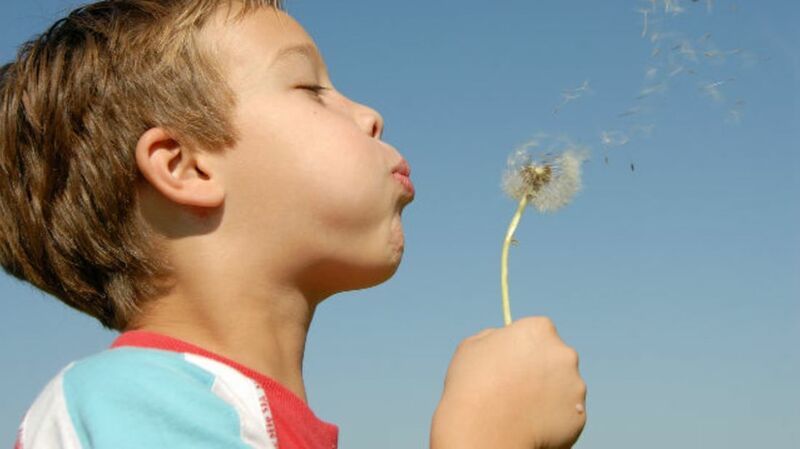 An average of one wish is granted every 35 minutes. Take a look at 11 other facts that help illustrate how these donors and good samaritans can give an ailing child a reason to smile. 1. THE FIRST MAKE-A-WISH RECIPIENT GOT THREE WISHES. Make-A-Wish began in the spring of 1980, when officers at Arizona’s Department of Public Safety learned that 7-year-old leukemia patient Chris Greicius longed to experience what it was like to be a police officer. After seeing how happy it made Greicius to wear a uniform and go on patrol, Arizona DPS officer Frank Shankwitz and his fellow officers started the Make-A-Wish Foundation to help others like him. In 1981, Poncho “Bopsy” Salazar became the first child granted a wish under their banner. Like Greicius, he was a 7-year-old with leukemia; the Foundation arranged for Salazar to hop on a fire truck, visit Disneyland, and take a ride in a hot air balloon. The story received national coverage and led to a number of chapters opening up around the country. 2. SORRY, BUT THEY WON’T TAKE YOU HUNTING. Make-A-Wish tries to do everything in its collective power to fulfill the dreams of kids with life-threatening illnesses, but they draw the line at one request: They can’t take anyone hunting. Since 2000, the company has prohibited their funds or volunteers from facilitating a hunting trip, citing safety concerns and protests from animal rights organizations. In 1996, the Foundation was criticized for helping a teenager realize his dream to shoot and kill a Kodiak bear in Alaska. The organization also draws the line at any wish involving firearms. 3. HALF OF ALL WISHES INVOLVE DISNEY. While children have a variety of wishes they’d like granted, the Mouse seems to take up a large part of their ambitions. According to Make-A-Wish, Disney’s theme parks, princesses, and other properties make up approximately half of all wishes granted. Through 2015, that means more than 100,000 Disney-related requests were fulfilled. 4. ONE KID WANTED TO STAR IN A GODZILLA MOVIE. In 2014, a 5-year-old boy named Maddex came to the attention of the Chicago chapter of Make-A-Wish for wishing to destroy the city. To accommodate him, a film crew was assembled that allowed Maddex to dress up as Godzilla (or “Madzilla”) and stomp all over a tiny replica of the skyline. The five-minute film was estimated to cost roughly $1 million in expenses and donated time. 5. THEY SEND KIDS TO THE SUPER BOWL EVERY YEAR. Seats for the Super Bowl can be nearly impossible to come by, but Make-A-Wish’s relationship with the NFL means many wishers get VIP access to the stadium. The organizations have collaborated every year since 1982 to make sure at least one is in attendance; 13 kids attended Super Bowl 50 in San Francisco last year. 6. SOME KIDS DONATE THEIR WISHES TO OTHERS. There’s no binding legalese that says a Make-A-Wish recipient has to keep a wish to themselves. When 12-year-old Lucas Hobbs became eligible for a wish after being diagnosed with stage-3 Hodgkin’s lymphoma, he decided to use it to pay back the Minnesota hospital that took care of him while he was undergoing chemotherapy. He had a food truck park outside the facility and took orders from patients who wanted something a little more tasty than the standard-issue hospital fare. He even named a hot dog after his favorite staff member, calling it a “Perkins dog”after his oncologist, Dr. Joanna Perkins. 7. ONE KID’S WISH GOT A LITTLE OUT OF HAND. In 1989, 7-year-old Craig Shergold pleaded with Atlanta-based Wish Foundation International to assist him with his goal of breaking the Guinness World Record for most get well cards received. Within a year, he garnered over 16 million cards—and it never quite stopped. The flow of letters and correspondence continued unabated, with chain letters urging others to forward mail to Shergold expressing moral support for his struggle with a brain tumor. Make-A-Wish was forced to set up a special hotline to inform the public that they had no involvement in the movement, which went on to top 100 million cards. In 1999, a healthy Shergold asked people to stop. To this day, the Foundation has a page warning that any mail intended for Shergold is forwarded to a recycling center. 8. YOU CAN DONATE TO HELP FULFILL SPECIFIC WISHES. For decades, Make-A-Wish accepted financial donations without necessarily earmarking the funds for any specific purpose; donors wouldn’t be sure which wish was funded by their generosity. In 2016, the Foundation introduced Wishmaker, an online fundraising portal that allows donors to read personalized stories about wishers and donate funds to help them meet their goal. The Foundation is hoping that individualized projects may help in covering the uptick in wish-related expenses, which now average $10,130, up 30 percent from 2010. 9. JOHN CENA IS A M-A-W LEGEND. 10. MACY’S HAS DONATED OVER $100 MILLION. Make-A-Wish relies heavily on the generosity of donors in order to keep the wishes coming. Retail giant Macy’s has done more than their share, donating over $100 million since 2003. Make-A-Wish estimates that their contributions have directly impacted more than 13,000 kids. 11. THERE’S ONE OTHER THING THEY JUST CAN’T DO. Virtually anything a child can fantasize about is open for discussion, but Make-A-Wish draws one other hard line beyond their no-hunting-or-firearms mandate: You cannot make a wish for unlimited wishes. If you’d like to learn more about Make-A-Wish or volunteer your time and support, visit Make-A-Wish.com.